The first mentions concerning the presence of Jews in Lublin come from the time of the reign of King Casimir the Great. According to records from the 16th Century, although not finding confirmation in historic sources, this ruler gave the first privi-leges to the local Jewish community in 1336'. However, one can guess, that a well organized Jewish community functioned in Lublin since the 1570s, when Rabbi Jakub from Trident arrived in the city, being suspected of participation in a blood libel in his native Germany. The choice of Lublin as a place of shelter provides evidence for the fact that the local community was already well known, not only in the country, but even beyond its borders. Adam Kopciowski, Outline History of the Jews in Lublin. The "Grodzka Gate – NN Theatre" Centre is a local government cultural institution based in Lublin. 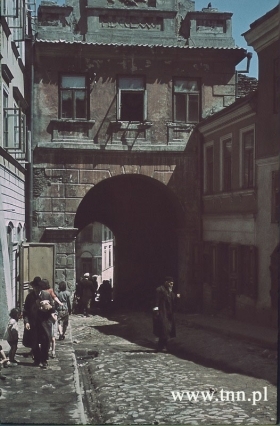 In its activities, the Centre draws on the symbolic and historical significance of its residence, the Grodzka Gate, also known as the Jewish Gate. The Gate used to be a passage from the Christian to the Jewish part of the city, a meeting place of various cultures, traditions and religions.